" there was room for a nine hole golf course, tennis courts, and a baseball diamond." 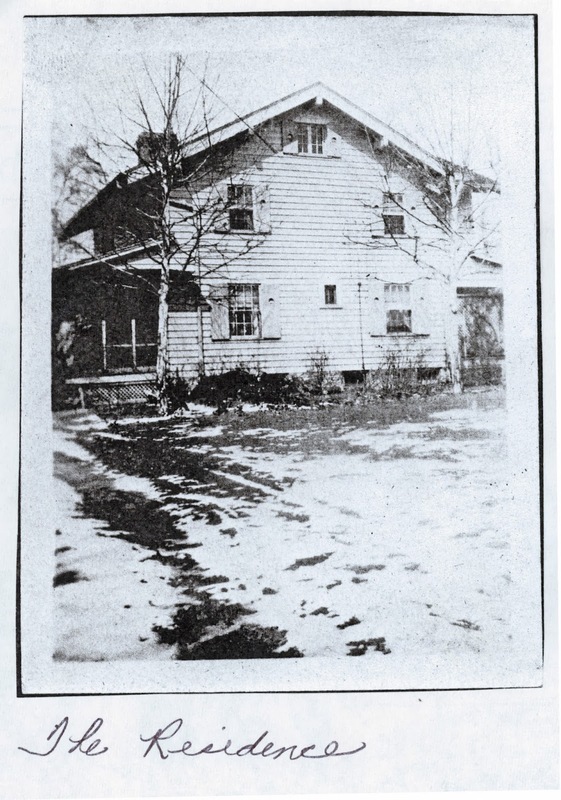 Seizing on its opportunity to publicize the new country home of the Elks, BPOE scheduled a dedication ceremony at the property for May 28, 1921. By that time, the Higgins transfer was accomplished, and Kaufman had inked an agreement for BPOE to buy the critical 64 acre Smith property. Acquisitions of the 31 acre Dell and 13 acre Fink parcels were not concluded until July 23rd. Finally, BPOE would have enough land to construct 18 holes! The final piece of the country club puzzle, the 46 acre Samples property, was not in BPOE hands until April 22, 1922. While Kaufman busied himself in mid-May with the various details of getting the Elks Country Club off the ground, golf's most renowned architect was working just a few miles away. The Aladdin Golf Club had engaged Donald Ross to stake out a re-design and expansion of its existing nine hole course. Aladdin, a Ross gem now lost to the sands of time, was located at First Avenue and Arlington Avenue in the Grandview area. Ross expressed confidence that Aladdin, "would be a splendid test of golf when completed," and that "on no hole will it be necessary to play over a railroad or traction tracks, which at present intercept four fairways in the nine holes now in use." Ross was feted at a dinner at Aladdin the night of May 16th. Since this visit was noted by the Ohio State Journal ("OSJ"), Kaufman certainly got wind that the architect was in town. Less than one year later, Ross would return to Columbus to work on another project! 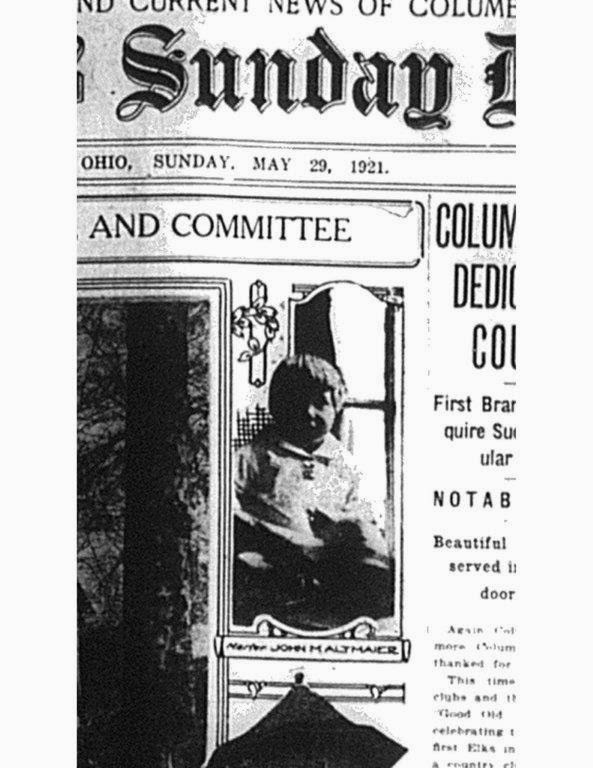 The dedication of the property was front page news in all three of Columbus's daily newspapers. The "Committee of Arrangements" with John W. center-stage, merited a front page photo in the OSJ. Messrs. Hanby Jones, John Ward, John W. Kaufman, Robert Wolfe, and John Price, sporting varying chapeaus, struck a serious vein for the image. It was duly noted in the Sunday Dispatch that Elks Lodge No. 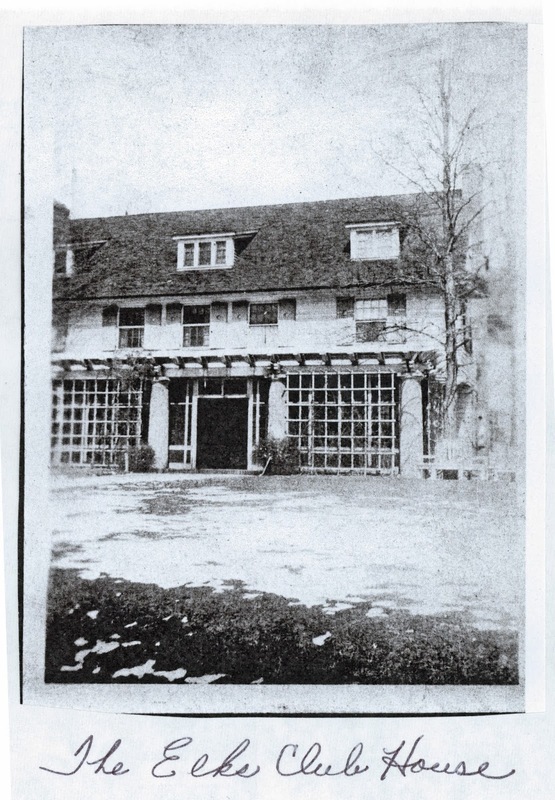 37 was the first in the country to "acquire a country club as an adjunct to the regular lodge home." The ceremony was staged on the lawn surrounding a new flagpole in the center of what was described as an "outdoor lodge room" specially prepared for the event. Kaufman called upon former Governor and fellow Elk James Campbell to address the assembled throng of over 300. Resplendent in his white suit, Campbell complimented the local lodge on its civic involvement in Columbus. He paid kind tributes to the work of Mr. Kaufman and his committee in securing the Higgins estate. Elks dedication rituals followed. The keys to the new "country home" of the lodge were presented to John Kaufman who made a brief but heartfelt address. The Ohio State Journal mentioned that a "social air was given to the performance by the presence of more than 100 women, who appeared in summery dresses and added color to the scene." Then the big moment arrived! Master John Altmaier, the four year old grandson of John Kaufman, was entrusted with the task of raising the new club's immense American flag up the flagpole. The Journal, with the hyper-drama typical of newspaper accounts of the time, reported that, "A shaft of golden sunlight, breaking through a heavy cloud, shimmered on the American flag as it rose to the top of the flag pole... The Elks' chorus broke into the strains of "The Star Spangled Banner" as 200 Elks uncovered and saluted the flapping banner. There was silence, and then an outburst of applause...It was during the flag-raising that the assembled Elks first experienced the 'at-home' feeling." Young Master Altmaier's picture graced the front page of the Sunday Dispatch just under the header (see below). Outside of a royal baby, the four year old (he looks like a toddler of two in the photo) had to rank as one of the youngest lads ever to land on page one. As I viewed this archive, it occurred to me that there was at least a remote possibility that John Altmaier was still alive, albeit well into his 90's. Wouldn't it be cool to interview someone that figured in an event that occurred 92 years ago? So I googled the name of "John Altmaier" in Columbus. 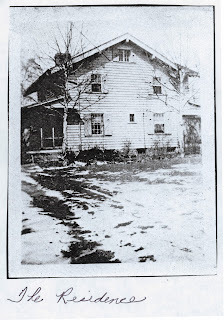 I was blown away when the search came back with information indicating the presence of a gentleman by that name, age 96, purportedly residing on Brookside Drive in the Columbus suburb of Bexley! Telephone inquiries were unavailing, so I wound up knocking on the door at the address provided by my internet surfing. A kindly lady answered the door. I asked if John Altmaier still lived there. She smiled and replied that Mr. Altmaier had passed away twenty years previously. However, John's widow Elaine, was still very much alive, but she was away, summering in the Upper Peninsula. The lady was nice enough to provide Elaine Altmaier's telephone number, and I called her. She was very sharp. Elaine confirmed that her deceased husband was indeed the grandson of John W. Kaufman. When I asked her about John's front- page picture on the May 29, 1921 Sunday Dispatch, she laughed, and indicated that John never once mentioned it to her in their long marriage. Given his tender years at the time, he may never have been made aware of the picture or his role in the dedication ceremony. I asked if her husband ever became an Elk or played golf at Elks- Wyandot. She replied that he did not. "John was a tennis player!" While she could not tell me much about Elks-Wyandot, Elaine provided very helpful information regarding the Kaufman business interests. Her late husband was employed with the Columbus Coated Fabrics portion of the family conglomerate, having risen to the vice-presidency of that company. By the time of the dedication, Kaufman, in consultation with the new Grand Exulted Ruler of Lodge No. 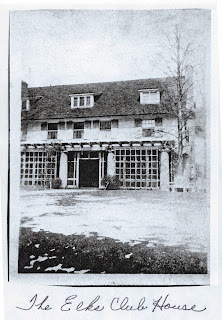 37 William Abbott, had determined that John R. Downey would serve as manager of both the city and country houses of the Elks. In short order, Downey found the man he thought had the stuff to be a good greenkeeper even though he was short of experience in the area (to be expected because greenkeeping was a new profession in the U.S.). 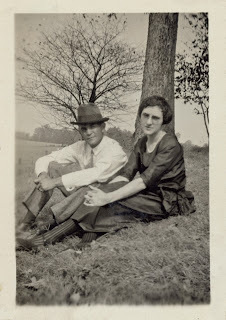 There was only one problem: Lawrence Huber was unmarried, although he was smitten with young Eunice whom he squired about in the small town of Alton, just west of Columbus. In the interview, Downey advised Lawrence in no uncertain terms that the BPOE would much prefer a married man to be living in the caretakers' home adjacent to the planned course. That would eliminate gossip concerns etc. Lawrence probably took all of five seconds to respond, "No problem, Eunice and I will get married right away!" And so they did. The Elks had found their greenkeeper. Lawrence Huber would be the one constant at Elks-Wyandot for the next 20 years. But the BPOE still needed to design and build its golf course. John Kaufman wanted the best. That could only mean the firm of Donald J. Ross and Associates, and its eponymous founder. It is a fact that there are numerous Ross designs upon which he never set foot, instead working from his office in Pinehurst, North Carolina formulating his blueprints from topographical drawings. Presumably, if you wanted the great man to stake the course personally, you paid a little extra. But John W. perceived that Ross's presence on-site would be well worth the added expense. Besides, the Masons had Ross stake their Aladdin course. Kaufman's Elks were not about to take a backseat to any social organization in town! An excited welcoming party, including John W. and son Harold, nervously paced the depot platform at Columbus's Union Station on April 27, 1922. Many thoughts had to be going through their respective minds. What would Ross think of the property's suitability for a golf course? Was he going to utilize the land's picturesque wooded ravine for some of the holes? Or was the valley too wide? Next chapter: "The Great Man Arrives"
Acknowledgements: Interviews with Elaine Altmaier, Betty Huber and Jim Huber (daughter-in-law and son of Lawrence Huber); photos from Betty Huber; Shirley Hyatt, newspaper archives from Columbus Citizen, Ohio State Journal, and Columbus Dispatch housed at the Columbus Metropolitan Library. Many thanks to the various librarians there who helped me with retrieval. This is truly wonderful Bill Case. You have hit it in the jar with these blogs, and very informative about the history of the golf course.